Nathan Holden has taken his passion and talent and transformed that into a business we are proud to have in the Tualatin committee. His diverse portfolio includes stunning nature photos (his most notable being his capture of the eclipse at the Painted Hills), heartwarming family photo shoots, gorgeous product shots, and more. Every image he captures has a story. “He really cares about his clients. He makes sure that the photography is what they envisioned. He has a great eye and makes sure it all comes together perfectly. Best of all, he is the nicest human being.” Despite being his “side gig,” NvHolden Photography has received recognition across the state. Travelling to businesses in the area, you will likely see several of Nathan’s work proudly displayed. Nathan’s work has been displayed in Lugano Café & Catering, as well as a community art gallery in Wilsonville where he exhibited or sold over 100 pieces. Nathan is also an active member in both the Tualatin Chamber and Rotary and donates his photography time to charitable organizations. His standard of work in every project is bar none. Everything he does, he doesn’t do for recognition. It comes from his heart and that shows. Ben is a great representative of the Chamber and community as a whole. As an Ambassador, he not only was asked to attend many different chamber and member events throughout the course of the year, but also coordinate efforts for the entire team to make every chamber event a warm, welcoming environment. Through his leadership, the group was a tremendous benefit to our community in 2017. That leadership quality, along with his personality and overall positive attitude is what made him our Ambassador of the Year. The definition of Lifetime Achievement is a person who has improved the Tualatin community and inspired others to take action. For the last 26 years at least, Lou Ogden has been the epitome of this definition. Starting as a City Councilor and moving on to be the Mayor of Tualatin for 24 years, Lou has tirelessly worked with the community and the Chamber to take Tualatin from a small suburb to a thriving, economically diverse, family-friendly community. Under Lou’s leadership, the business community has seen incredible growth, with over 1,700 businesses and 33,000 employees in 2018. He has been a passionate supporter as well as an ex-officio board member and champion of the Chamber of Commerce, understanding the inherent value of a business, community, and government partnership. All of the ways and areas that Lou is involved in to help Tualatin thrive is done as a volunteer,” while still running his own business. Lou’s cause is his community. He is involved, practically full-time, in working on the behalf of all Tualatin businesses and citizens to enhance the community’s quality of life. From the moment they joined the Chamber, Alec Ramsey and Southwest Office Supply jumped in with both feet. “The service we receive is both personable and highly professional. Even though they have a corporate relationship with us, they service each branch individually and assign a Rep we can call on. They understand our needs, and make sure each of us is taken care of in our own special way.” Southwest Office Supply branches have donated to the Oregon Food Bank and The Giving Tree. In addition, employees are encouraged to pursue volunteer efforts. Besides promoting his business through traditional marketing, Alec saw, as a Chamber member, an opportunity to connect in the community and help in “greater ways.” He is involved in Chamber and community driven services by participating in Champions, Ambassadors and volunteering with the STEAM program at Hazelbrook Middle School. Additionally, Alec has been a high school mentor and is working to bring his mentoring efforts to our Tualatin students. Alec prides himself on being service-driven and making a positive impact on both his organization and his community. Community and business are one-in-the same in his view. In case you didn’t know, “zeitgeist” means the general intellectual, moral, and cultural climate of an era. Typically, it is shortened as the “spirit of the times.” Morgan Roe created the Zeitgeist Academy to make music come alive for everyone. There are a lot of music academies that focus on children, but Morgan saw a need for adults who love music and want to develop another skill. Her team does things differently, but Zeitgeist Academy focuses on being a music community. This is evident through her formation of a quartet with our members. “She was able to work with different levels of singers and get us all together musically and ready to perform. She was ‘instrumental’ to our success and made it a fun experience for all.” Her enthusiasm and out-of-the box thinking led her to leading a Kazoo Caroling throughout Bridgeport. She created an opportunity for those who may be nervous about their musical talent to contribute in a hilarious, uplifting, and fantastic event. Morgan has made an impact with many of our Chamber members, giving them the guidance and inspiration they needed to expand their artistic horizons. A member since 1992, Debbie Borges has been a passionate, professional, and committed volunteer of the Tualatin Chamber. Whether she steps up to lead or serve, she can always be counted on to follow through on whatever she has agreed to do. Debbie has taken on many leadership roles over the years including serving on the Board of Directors. In 2017 she was the Chair of the Holiday Auction Procurement Committee, as well team captain role f,or the Chamber’s Relay for Life team. “Debbie took on the massive task of leading the Holiday Auction Procurement Committee when we needed her most. We truly couldn’t have done it without her. She gave us countless hours of her time, and we couldn’t be more grateful.” Since then, she has stepped up to serve as Relay for Life Sponsorship Chair because she saw a real need for change and improvement. She works non-stop for her clients and STILL has the time to take on a volunteerism leadership role. Pacific West Roofing is a family owned business with deep roots in the local area. They have been serving customers since 1980 and have established a reputation of being one of the most quality conscious companies in the Portland roofing market. More importantly though, they are known for their service excellence and personal approach to each customer. It’s all about relationships and giving back. They help in every way they can, and they try to “always say yes.” Just this past year they have been a major sponsor of Swing for Wolves/Crawdaddy Open, the Tualatin Winter Brewfest, the Tualatin Crawfish Festival, and the Chamber Holiday Auction. They have also held food drives, a coat drive for local shelters, and more. 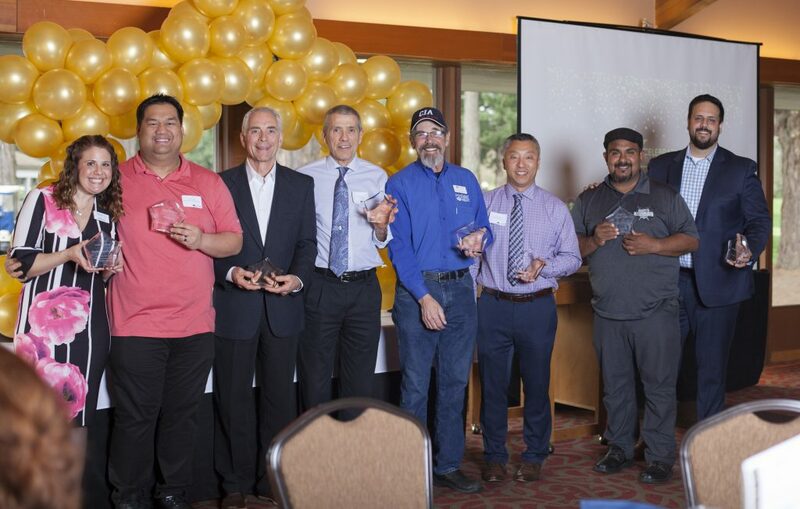 Pacific West Roofing exemplifies the right way to do business, and therefore, the spirit of Tualatin. There is a Bob, there are autos but there is no café. What is there is a commitment to help the Tualatin community one car at a time by training people (interns) seeking employment in the automotive field, performing quality car service at a fair price, and helping those in need get into a safe and reliable vehicle. Bob’s Auto Café stands out because they train technicians in paid internships, employ people who may otherwise not find employment and offer deeply discounted repair costs for low income customers. This business plan allows Bob’s to create a valuable, dignified, and respectful employee by providing automotive technical training in a real-world work place. An intern leaves Bob’s with training and the opportunity to transition into solid automotive technician jobs. It also provides low-income families the ability to have reliable transportation and, by donating a car to Bob’s, you get a tax deduction. Bob’s Auto Café represents the spirit of community involvement in Tualatin and dedication to empowering people to have the tools to move forward. CenterCal came into the community over 10 years ago when Bridgeport was built and has continued to enhance and expand Tualatin with Nyberg Woods and Nyberg Rivers. They have created space for many new businesses to come into Tualatin which equates to new and employment opportunities. 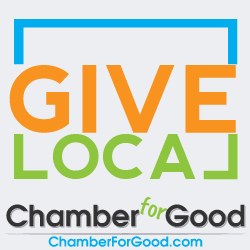 This is business to business at its best and personifies and supports the Chamber and what the Chamber stands for. Yet, there is another side to CenterCal. They created and value a partnership with Tualatin businesses, city government, and the citizens of Tualatin by recognizing and embracing the history that is here. Through CenterCal, and its CEO Fred Bruning, working with the city and the Tualatin Historical Society, they worked to bring to the forefront Tualatin’s Ice Age history, we now have an expanded Tualatin River Greenway trail, the mastodon sculpture in front of Cabela’s, and a children’s book called “I Wonder,” plus the three shopping centers with Tualatin zip codes. None of this would have happened without the foresight, commitment to community, and the financial support of CenterCal. All of this embodies the Spirit of Tualatin. Costco’s mission statement is to continually provide our members with quality goods and services at the lowest possible prices, but what lies underneath that is a dedication to community and the continued desire to give back. They give millions of dollars each year to various charitable organizations worldwide including the United Way, the Red Cross, and children’s hospitals like Doernbecher’s every May. They also have expanded their edible food donation program through Feeding America, donating over 8.5 million pounds of food annually. Locally, Costco supports the backpack and reading programs for schools, they give approximately $300 per month to fundraisers, bakery products are donated to the food banks, and leftover produce goes to pig growers. At an even more locally-focused level, they host a Multi-Chamber Holiday Networking event and are proud sponsors of the Tualatin Chamber TP Brigade, having donated pallets of toilet paper to the Tualatin School House Pantry. Their corporate culture makes us a stronger community and are a worthy nominee for this award. Village Inn has been a family-owned business in Tualatin for 41 years. Ryan Sweeney, owner and operator has carried on his grandparent’s legacy. While running a busy restaurant doesn’t leave much free time, Ryan is very involved in community issues like supporting increased public transportation availability in Tualatin. Where Village Inn shines is how they support our community. Before you get to the front door, there is a coat rack with a sign “Take A Coat/Leave A Coat” no questions asked. Ryan is a driver for the Meals on Wheels People home delivery program. Last December, Village Inn held a revenue sharing drive for MOWP and raised $900. They ran the pancake breakfast at the Crawfish Festival, they donate all the pies at the Pumpkin Regatta. In addition, they support the Kiwanis Club by having food barrels at the restaurant and filling them several times a year. Most importantly, Village Inn encourages and hires high school students from Tualatin and Tigard. They help the students through the interview process, help students manage their time, and play an active role in mentoring them on how to be good employees in the work force.